"We are committed to reducing stress and risk by streamlining the building process, always being transparent about pricing and providing a quality team who is here for you every step of the way." TWC Construction has completed hundreds of significant construction projects, from large industrial and office complexes, retail developments and tenant improvements to complex manufacturing and process plants as well as special use projects. Our experience is rich with all types of construction from concrete (tilt-up and cast in place), steel frame, masonry and wood frame. We hold a full B license with an unlimited license limit. Our foundation of financial strength provides an unparalleled level of security that allows our clients to build with confidence and peace of mind. Whether you are an experienced developer, new to the business and starting your first project, need to build your own facility, or represent a client as an architect or engineer, we have the extensive experience with every step of the development process. 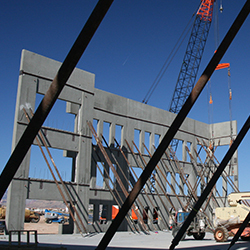 From design through entitlements and permitting, construction and commissioning, our involvement provides significant value added to our clients, particularly those who are not fully versed in the complexities of this process, which can vary depending on type of project and location. If you are a business owner, we share your entrepreneurial spirit and know how important it is for you to have your facility ready when needed. 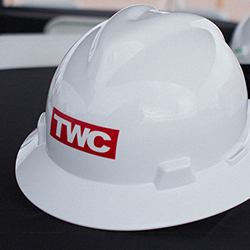 When TWC Construction assigns a team to a project, we take on an ownership perspective, first by taking the time to understand your needs and concerns then diligently ensuring that we are always looking out for your needs and best interests. Our goal is to make the process clear, predictable and pain free for our clients. Our reputation for extraordinary levels of professionalism and accountability can be best confirmed by what our clients have to say about us. The process of transforming undeveloped land or space into a completed project can be very complex. TWC Construction offers the complete spectrum of preconstruction and construction management services for projects of any type or size. We possess the expertise and utilize the most advanced work control processes and systems to minimize risk and successfully complete your project.